McGill University’s International Institute of Education operates within the Faculty of Education, specializing in the professional development of educators. 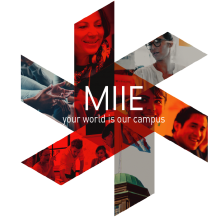 MIIE is a global learning classroom – one that is rich in its diversity and flexible in its accessibility. MIIE courses foster best practices and help educators develop necessary skills to prepare their students for the challenges of the 21st century. Content and delivery are oriented towards stimulating curiosity, innovation, resilience, adaptability, and technological proficiency. MIIE specializes in the professional development of educators, providing them with tools to prepare students for 21st century challenges. MIIE offers both summer and winter academies for high school students. Subjects covered include sciences, general humanities, medicine, English, and other customized topics. MIIE also offers customized development courses, tailored to the exclusive issues facing various levels of academic professionals from around the globe. DISE's Jayne Malenfant is La Presse "Personality of the Week"
New book co-edited by Claudia Mitchell and Relebohile Moletsane: "Disrupting Shameful Legacies: Girls and Young Women Speaking Back Through the Arts to Address Sexual Violence"